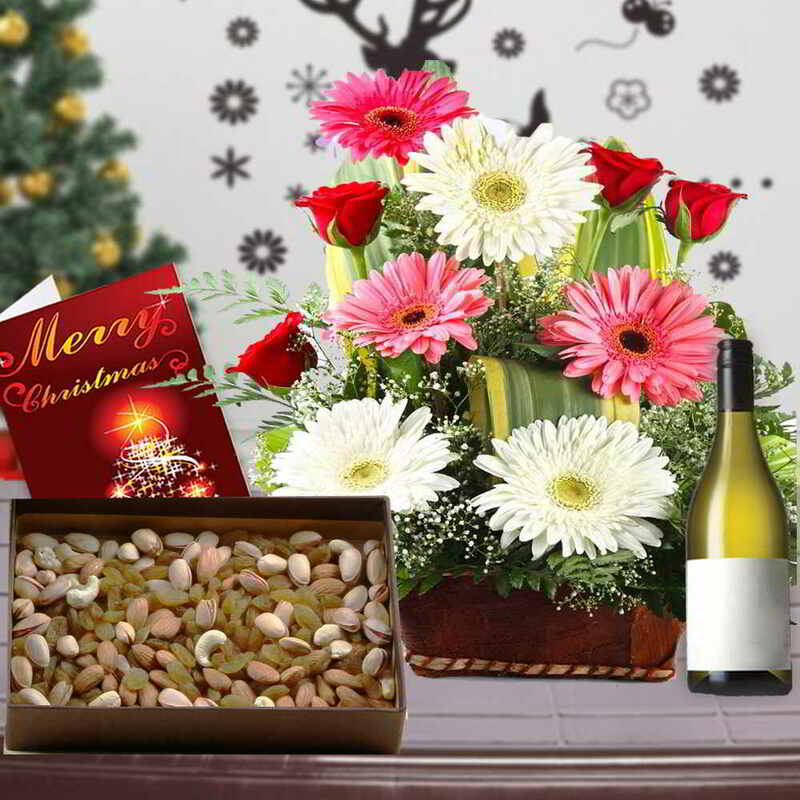 Product Consists : Basket arrangement of 15 Gerberas and Roses with some green fillers, Assorted Dryfruits (Cashew, Almonds, Pistachios and Raisin) (Weight : 500 gm), Indian branded bottle of Wine along with Christmas Greeting Card. (This product can not be delivered in Gujarat as it has been declared as 'Dry State'). 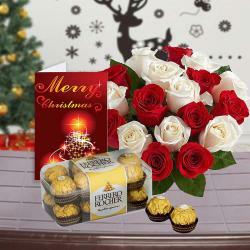 Have a look at this amazing gift hamper for Christmas which is filled with mind blowing gift items. 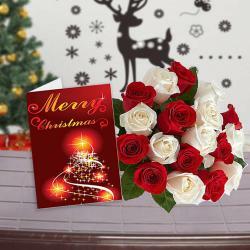 This gift hamper is comprises of one Indian branded bottle of wine, one flower basket of rose and gerbera flowers, one assorted dry fruit Box with four types of dry fruits and one Christmas greeting card. The flower basket is beautifully adorned with fifteen white and yellow gerberas and roses. The arrangement of flowers in basket is done very beautifully. The dry fruit Box contains cashews, almonds, raisins and pistachios. The gift hamper is bound to spread happiness. 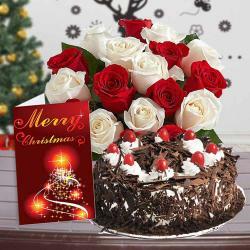 Send this gift hamper to your dear ones and make them feel super special with this Christmas gift hamper. 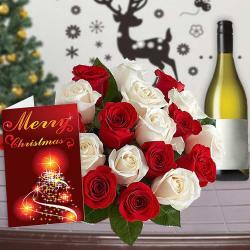 Product Consists : Basket arrangement of 15 Gerberas and Roses with some green fillers, Assorted Dryfruits (Cashew, Almonds, Pistachios and Raisin) (Weight : 500 gms), Indian branded bottle of Wine along with Christmas Greeting Card. (This product can not be delivered in Gujarat as it has been declared as 'Dry State').